Let’s face it, it’s never easy to say goodbye to summer and hello to a new school year. Between settling into a new routine, packing lunches, shopping for back to school clothing and supplies, sifting through homework assignments and permission slips, and attending new school meetings, it can be easy for busy parents to neglect the dinner table! That’s where we come in. Because we’ve done the hard work for you, our all natural olives, peppers and other gourmet pantry staples will save you time and energy. Not to mention, we use only the freshest ingredients available without artificial preservatives so you can keep on creating healthy meals and snacks to fuel active bodies and minds! 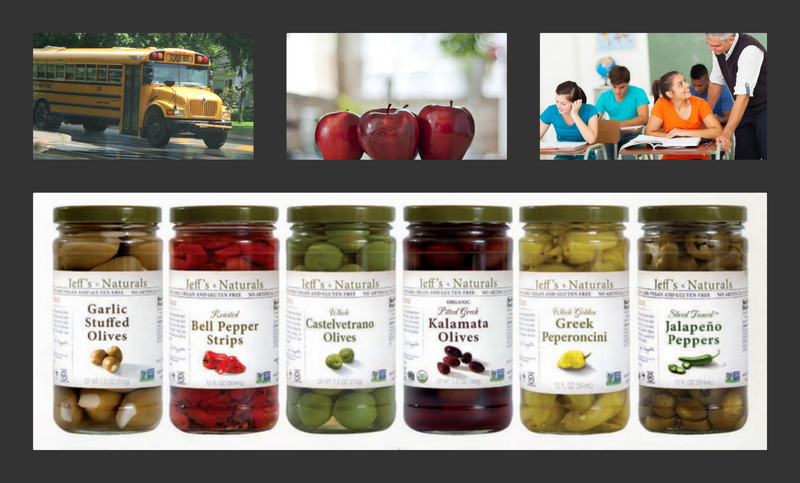 Here’s a quick round up of recipes perfect for the busy Back to School season using wholesome Jeff’s Naturals ingredients. 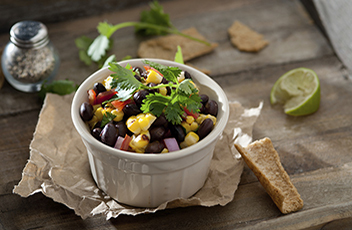 Refuel young bodies after a long day of learning with this vitamin and fiber friendly salsa made with black beans, Roasted Bell Pepper Strips, cilantro and Sliced Tamed Jalapeños (don’t worry, we tamed them so they are not too spicy). 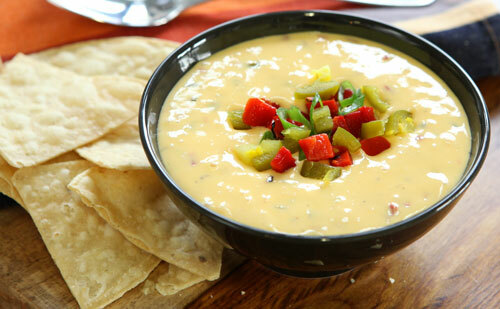 This tasty after school treat comes together quickly by melting shredded Mexican blend cheese, Diced Tamed Jalapeño Peppers and Roasted Bell Pepper Strips over a stop top oven. Perfect for study groups or days when the whole gang unexpectedly drops by after practice. 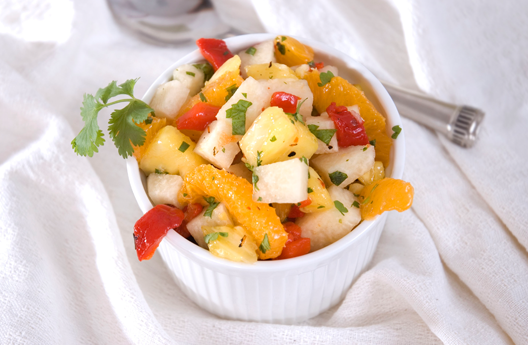 Roasted Bell Pepper Strips gives this tropical fruit salad an unexpected kick! Made with pineapple, mandarin oranges, jicama, cilantro and coconut, this healthy snack will give your young learner a taste of summer while restoring energy. Goes great with school lunches! Now, let’s talk about dinner! Here are some easy meals that can be put together in no time at all! Feed a family of 4 in under 10 minutes? Yes please! 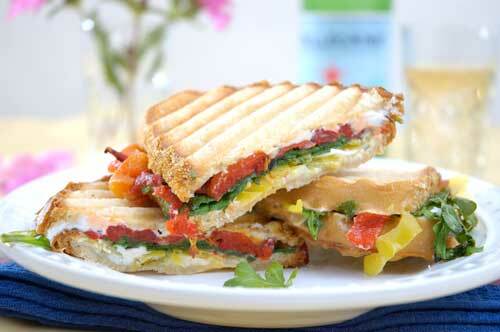 This simple panini recipe made with Roasted Red Bell Peppers, Sliced Golden Greek Peperoncini and Sliced Kalamata Olives is a fantastic meatless option that is sure to satisfy. Sweet dried apricots, Jeff’s Naturals™ Sun-Ripened Dried Tomatoes and brown sugar transform an ordinary turkey sandwich into something quite extraordinary the whole family will enjoy in 35 minutes flat. 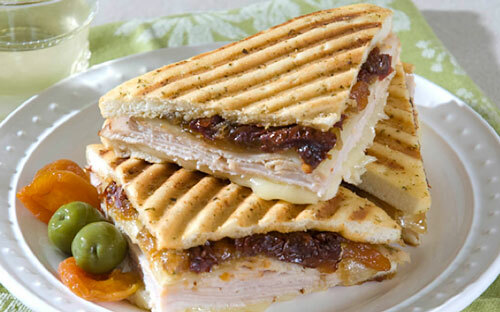 Bacon, Blue Cheese and Jeff’s Naturals™ Roasted Bell Peppers & Caramelized Onions– what’s to love? 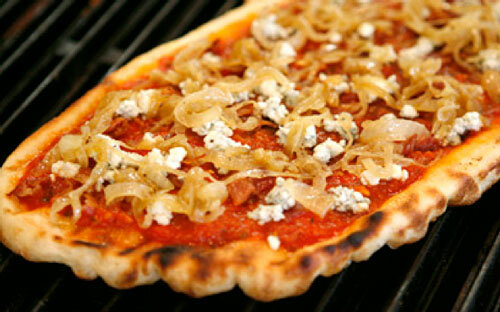 This grilled pizza comes together in 10 minutes flat- It could not be easier! 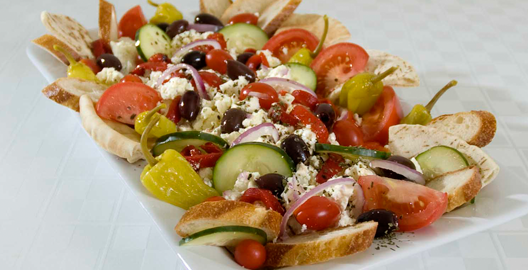 Even the pickiest eaters can find a healthy treat when you set out a plentiful antipasto platter with our Whole Golden Greek Peperoncini, Kalamata Olives, marinated Artichoke Hearts, Roasted Bell Pepper Strips and assorted meats and cheeses!